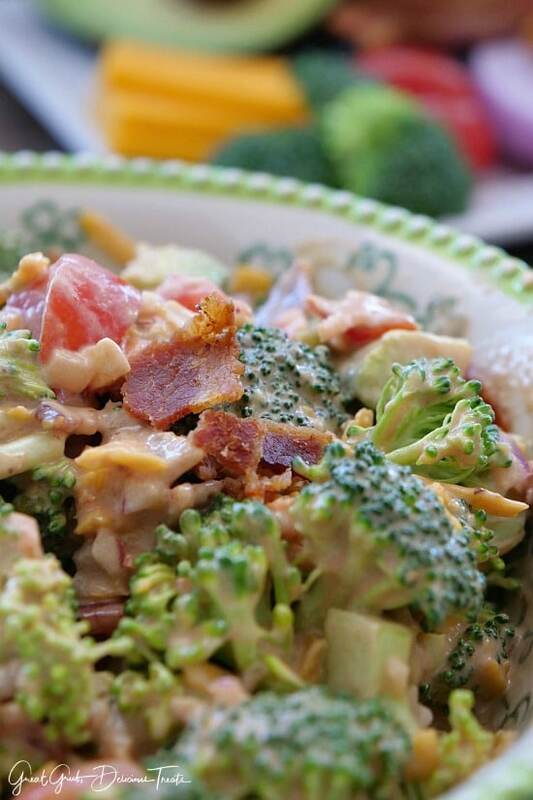 Whoa, this BBQ bacon broccoli avocado salad is super amazing! 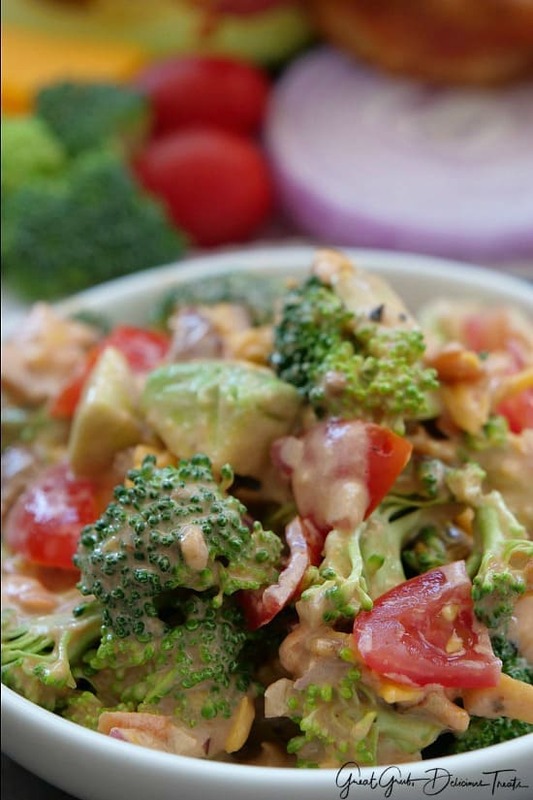 Loaded with delicious flavor, your taste buds are going to be in heaven with this easy, tasty salad recipe. 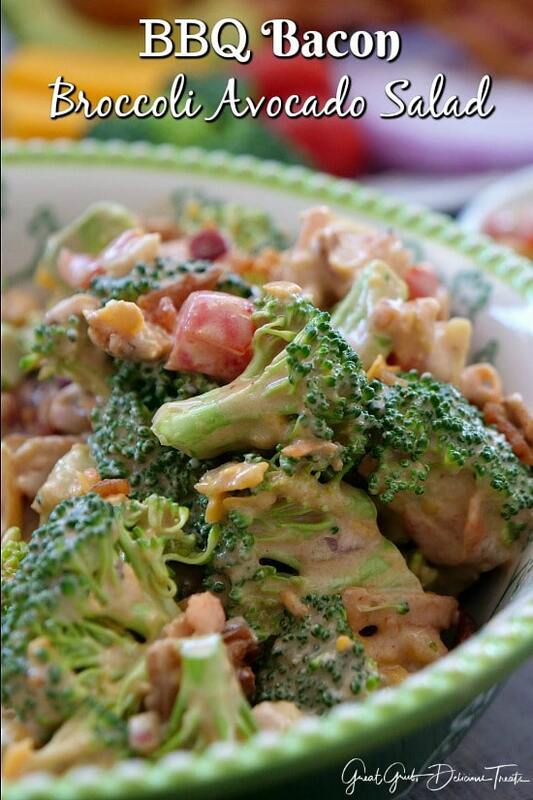 A perfect southern style salad that is so delicious and perfect for the summer season. Perfect anytime actually. 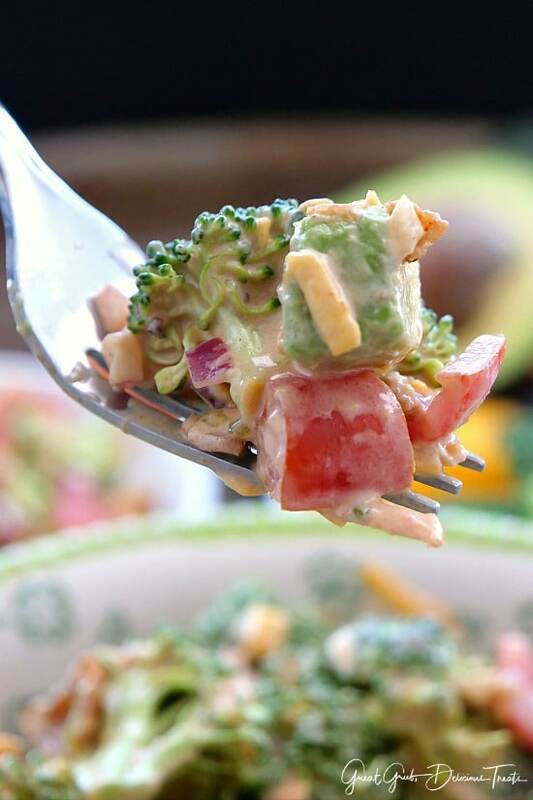 It’s definitely worth trying because you will fall in love with this easy salad recipe. 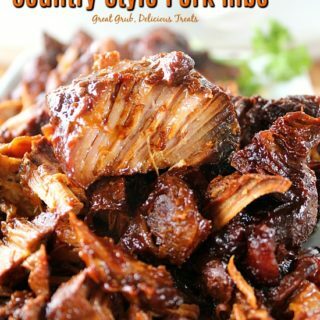 Bacon is always a great addition to add to any salad, and then bacon along with the barbecue sauce totally enhances the flavor 100% in this scrumptious salad giving it a bit of a southern tangy flavor. We ran to the grocery store (our new favorite here is Texas, H.E.B) to stock up on meat for our freezer and as we were checking out all the amazing items this store has, we sampled a tasty salad that was being handed out that was made by Lisa, the manager, of that department. Oh man, it was delicious. I grabbed the recipe card and knew I would change it up a bit. 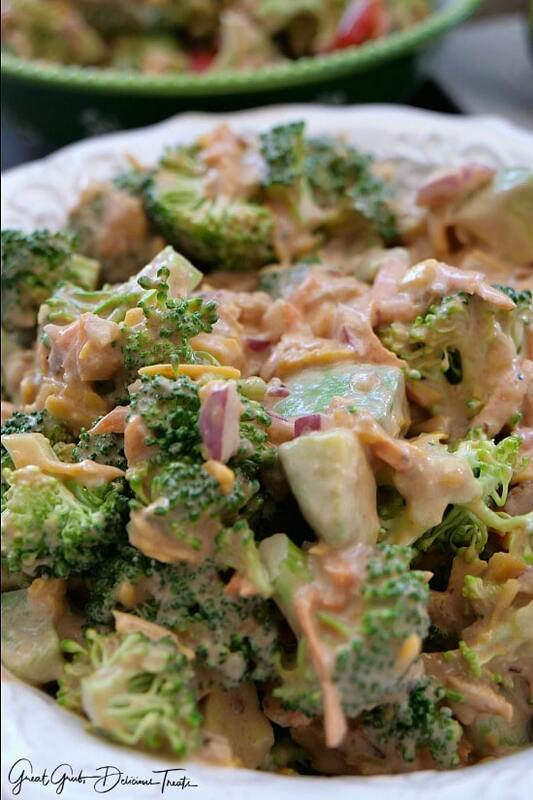 This is the results, a super satisfying salad loaded with bacon, broccoli, avocados, cheese, some red onions, grated carrots, and a few diced tomatoes. Talk about fabulous, so far, everyone that has tasted this terrific salad has fallen in love with this recipe. First off make the sauce. 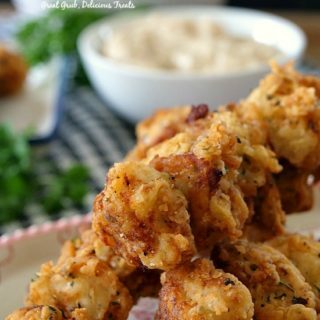 Super simple, just mix the barbecue sauce and mayonnaise together. Pop in the fridge to chill and start making the rest of the salad. Fry up the bacon until crispy, then crumble 5 pieces and save a few for the topping. I like cutting the broccoli florets right up to the stem so they are definitely bite size or smaller. 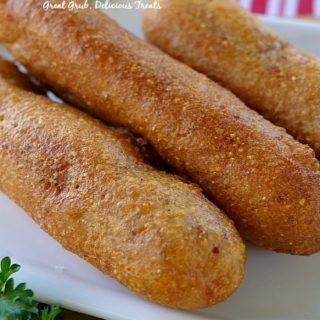 Next, toss them into a large mixing bowl along with the bacon. Then add the remaining ingredients, mix, add the sauce and place in the fridge to chill. 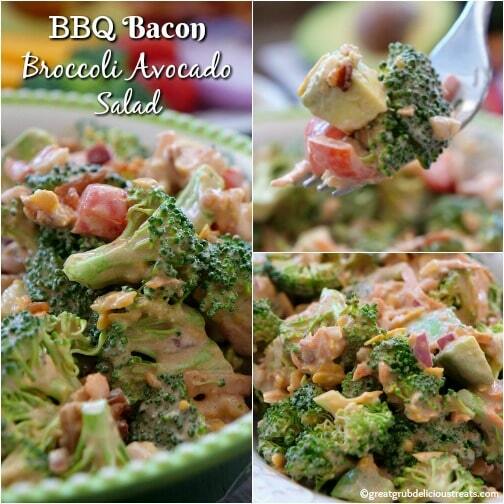 Once the BBQ bacon broccoli avocado salad has chilled, sprinkle the remaining crumbled bacon on top and enjoy. 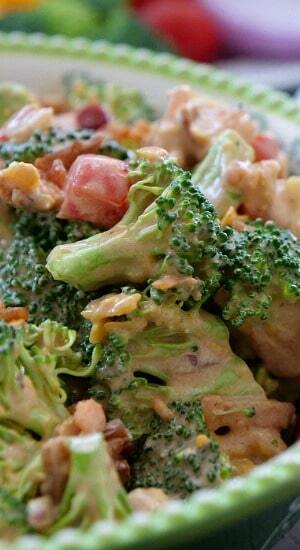 Seriously, such a tasty and simple salad recipe that the whole family will enjoy. This might not be one of the healthiest salads but it sure is one of the tastiest, hands down. 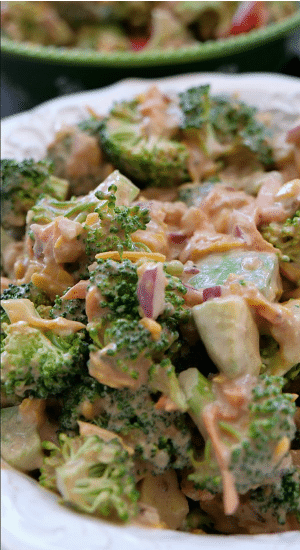 A delicious southern style salad that will be requested time and time again. 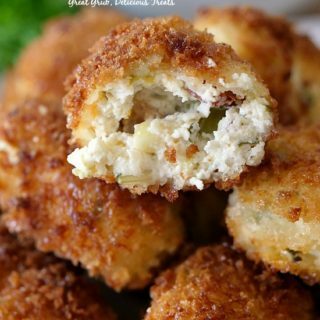 We love this salad and this will definitely be a welcomed addition to any family gathering, potluck or barbecue with family and friends. A perfect complement to any grilled meat, fish or chicken meal and its fabulous all by itself. So delish! 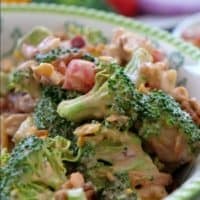 Here are a few more delicious salads you can find on the blog: Chicken Curry Pasta Salad, Macaroni Salad, Hot Corn Salad, Red Potato Salad, and how about a delicious healthy Avocado Potato Salad. In a small mixing bowl, mix the barbecue sauce and mayonnaise together. Cover with plastic wrap and chill while frying the bacon and preparing the salad. In a large frying pan, cook bacon until crispy. 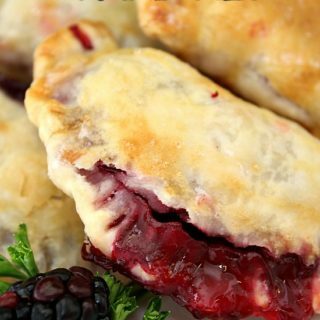 Remove and place on a plate lined with paper towels. Crumble 5 pieces, which will go into the salad keeping 2-3 pieces to be crumbled and sprinkled on top before serving. Remove heavy stems from broccoli and cut just the florets so they are small (bite size), add to large mixing bowl. Add remaining ingredients then pour dressing into mixing bowl and toss to coat. Recipe adapted from H E B's Cooking Connection. 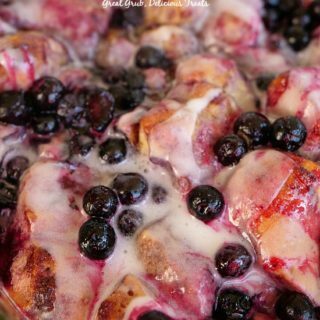 I love that your recipes are so simple and do not require expensive ingredients. This looks really good. Can I use turkey bacon instead?